Are Small Dogs More Aggressive? 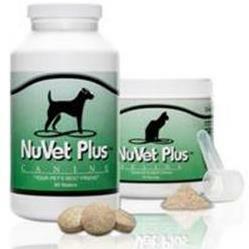 Aggression is a common dog behavior issue encountered by many pet owners. Most of the time, this is misunderstood as based on dominance. Truth be told, however, this is just the product of how humans treat them. 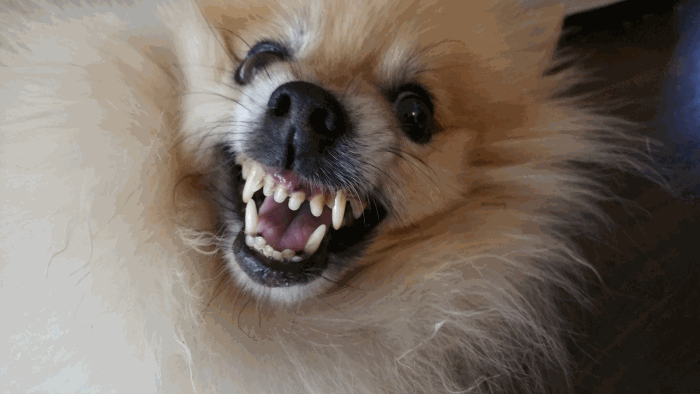 Why Small Dogs are More Aggressive? One of the most notable behavior problems with family pet is aggression. Sadly, people fail to realize that the way they treat their pets is what causes their pet companions to show such behavior. For dogs though, aggression appears to be more common among small breeds compared to the large ones simply because there is a huge inconsistency on how humans treat each breed. Although the relationship between humans and canines is very important, it hasn’t always been positive. Many pet owners forget that dogs are not an object that they can treat however they like. 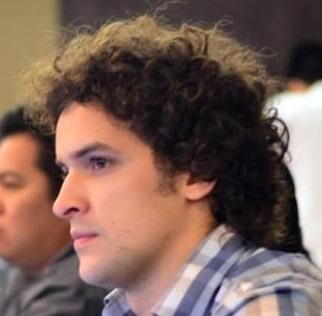 It is a living creature that has needs of his own and reacts to stimuli actively. Dogs aren’t human beings either that can understand and respond the way humans do. Yes, they have emotions but not like that of humans and they certainly do not possess the same reasoning skills as human do. Are small dogs more aggressive towards other dogs? Aggression is one of the most common behavior issues that most dog owners complain about. In fact, it has become a public safety dilemma. There are several different types of aggressive behavior. Territorial Aggression—A dog shows this type of Aggression when it wards of predators who enter what the dog perceives to be his territory. Protective Aggression—A dog shows a protective aggression when it defended its humans or any other creature it included in its pack. Irritable Aggression—This happens when your dog is suffering from pain or maybe frustrated on something. 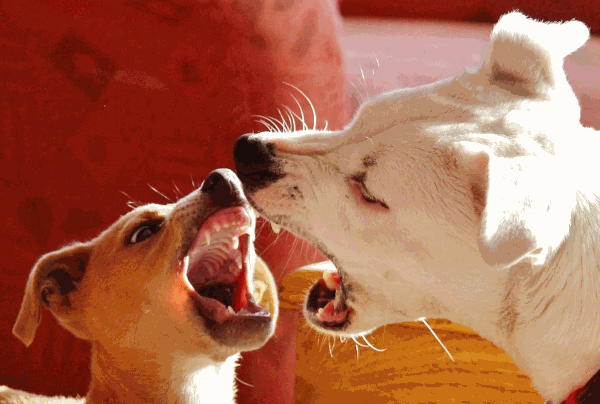 Maternal Aggression—This is very common among female dogs. Female canines display this behavior especially when they’re pregnant, and/or when they have puppies. Predatory Aggression –Dogs only show this kind of aggression towards animals, especially when they’re threatened. Dominance Based Aggression –This is a normal behavior for dogs as canines. In the world of dogs, those that show the most dominance-aggression get the best shelter, food, and—mate! So this actually was motivated both socially and genetically. In other words, as pack animals, dominance-aggression is just normal for canines. A lot of humans fail to notice that even simple sustained eye contact from their canine companions shows a dominant posture. And there’s really nothing wrong with that because as dogs live with humans, the humans become part of their pack. Instinctively, dogs follow whoever has the highest authority in the pack—in this case, humans are expected to be the pack’s leader. Many pet owners make a lot of mistakes as the human-canine bond develops. Behavior differences between people and dogs significantly contributes to a dog’s behavioral problems. Most dog owners treat their canine companion as humans. They tend to forget that canines have a completely different thought process. They have feelings or emotions, but they are not capable of responding to human affections. Most dog owners think that by giving their dogs attention and love, they would make their dogs obedient. At the same time these same owners would overlook the important needs of the dog. While your canine companion may enjoy being given constant affection, it does not, satisfy their animal nature. This eventually leads to behavioral problems. Dog owners must understand that they simply just don’t speak the same language as their canine family members. 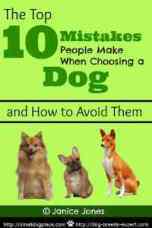 So, it is necessary to know your dog behaviors. Inconsistent and improper training could only lead to a worst situation. Size Matters When it concerns to aggression. People often do not realize that stereotyping, they become unfair to their pets, especially the small breed dogs. Most people only see the material side of dogs. For small dogs, for instance, most pet owners see them as toys. Because of this mistreatment, behavioral issues in dogs arise. But why are small dogs more aggressive than big ones? 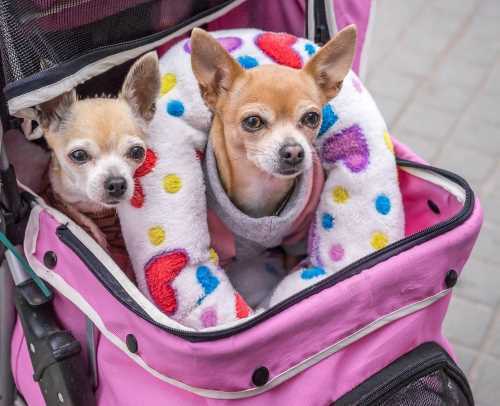 Sadly, in the human world, small dogs mean cute and vulnerable. This is something that simply doesn’t make sense, and doesn’t even exist in the dog's perspective. Small dogs always get away with behaviors that most owners do not allow large dogs to. Humans often see the small dogs very cute, vulnerable, stubborn, yet convincing and forgivable. On the other hand, big dogs are seen to be more matured and well behaved. Thus, humans have too many expectations of big dogs—that is, whenever they show undesirable behaviors, everyone sees it as an issue that needs to be addressed right away. 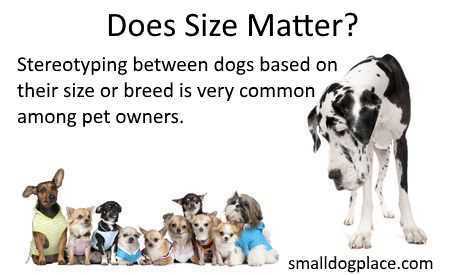 The truth is, size only matters to humans, but not to dogs. Aggression is tolerated in small dogs but not in larger dogs. Jumping has an entirely different meaning to a dog than it does to a human. As a pack animal, a space for dogs is a sign of respect. Allowing them to jump on a human means allowing them to dominate the latter. So, if a greyhound jumps on a human, this kind of behavior must be corrected right away. But, it’s not the same case for small dogs. People would surprisingly find it cute. Seeing their pup like a little baby wanting to be carried around. When a dog barks or growls, humans immediately look at this behavior as negative - something that needs attention. Of course, this doesn't apply if a stranger is trying to break into your home in the middle of the night. Owners fail to provide them with proper training and discipline just because they’re seen as toys and/or even cute little babies. They’re dogs! They must learn good manners. Whenever small dogs bark at big dogs, most owners believe that they’re just trying to get the attention of the big ones and want the latter to recognize them. But from the dog’s point of view, these small ones just try to show their dominance. They definitely do not distinguish what size should be a pack leader and what size should be a pack member. This kind of behavior has to be corrected and should not be allowed. Dogs as a domesticated breed should have human pack leaders. Most of the times, small dogs are allowed to take and pull on the lead simply because they aren’t strong enough to knock their owners down. This isn’t the same case for large dogs, though. Large dogs are trained to behave especially on a lead because they’re just too big their human companions may not be able to control them. This inconsistency often leads to a small dog syndrome. Do Humans cause Small Dog Syndrome? Animals experience unstable states, especially when they’re scared, stressed, upset, or nervous. What humans tend to do, which is completely WRONG is they pet them and give them human comfort—cuddle them, or pat them. Humans fail to realize that this kind of consolation only intensifies the dog’s instability. Human consolation will only make you weaker than the dog. Always remember that a dog is a pack animal. And, in a pack, there should always be one that leads. Because of this, dogs would see human as a weak part of the pack and as such would assume the leader role. To avoid or solve behavioural issues in dogs, it is very important to understand the true canine nature. Train them properly and provide them the care and the affection they need as dogs, not as humans! Jordan is the lead content curator for Coops and Cages as well as a couple of other pet related blogs. His passion for animals is only matched by his love for 'attempting' to play the guitar. We love our guest bloggers. They add an element to the website that we can not duplicate. Please know, however, that Small Dog Place does not always share the same views as our guest authors. We try to promote a wide range of topics and opinions so our readers can decide for themselves. Want to write for us? Please check us out.